MIMIC NetFlow Simulator- The Perfect Tool At Hand To Test Different Collectors! NetFlow’s reputation and wide-spread acceptance inside the network management community is growing. One indication of this trend is the increasing number of software packages available to help monitor your network health. MIMIC NetFlow Simulator creates a lab full of devices based on Cisco® NetFlow, Juniper® J-Flow, IPFIX, & sFlow data to completely evaluate and test your Flow monitoring, management and analysis applications. With MIMIC Netflow Simulator you’ve the perfect tool at hand to test against different networks and their conditions. A wide range of available setting makes the MIMIC NetFlow Simulator not just helpful for testing, but also for executing demonstrations for colleagues or customers. MIMIC Netflow simulator enables you to effortlessly simulate Cisco Switches & Routers plus their traffic data, just after deciding which type of flow info you want to retrieve. MIMIC Netflow Simulator has a simple user interface that allows you customize simulated devices and flows easily. The real lab can be costly since it requires expensive equipment, set-up and maintenance and it’s shared very often. If it’s used only for testing then simulation is an ideal alternative. You can find MIMIC Simulator at the optimal price range, there’s no required to worry regarding breaking anything and can save numerous configurations. It’s really easy to setup. You can download the NetFlow simulator for free today. • Performance Management in real-time: Easily customize performance data for verifying performance management system. • eNodeB Plug & Play – Self Commissioning: Capture and simulate eNodeB startup events. • Simulate standard MIBs: Standard MIBs such as 802.16 MIBs: WMAN-DEV-MIB, WMAN-IF-MIB, WMAN-PRIVATE-MIB as well as enterprise MIBs from vendors Alvarion, Trango, and many others. The MIMIC NetFlow Simulator, the industry’s first integrated simulation tool supporting NetFlow and SNMP, allows developers to perform real world, integrated device simulations. MIMIC simulates NetFlow-capable networking devices. MIMIC allows suppliers of NetFlow devices and applications to design, develop and test their products in a virtual and scalable network environment, assuring customers that their applications will work properly when deployed across heterogeneous environments. MIMIC SNMP Simulator – Can Simulate Numerous SNMPv1 or v2c Agents On A Single Host! The SNMP Simulator was especially built to assist test SNMP managers against a massive number of SNMP based devices. From SNMP manager’s point of view SNMP Simulator is a lab filled with a large number of real physical tools. The principle behind SNMP simulation is that the Simple Network Management Protocol is an interface that could be simulated. SNMP carry data based on MIB objects, which could be shaped as per you needs through the simulator, therefore representing any tool which has a SNMP interface. 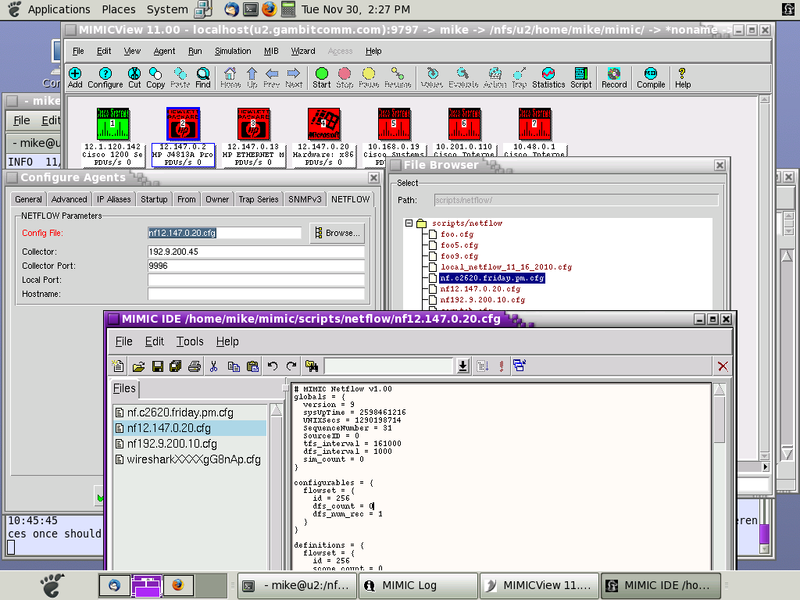 The whole network is modeled inside a PC, and the lab simulation is reachable on the network, so users can converse with the simulator over the network. 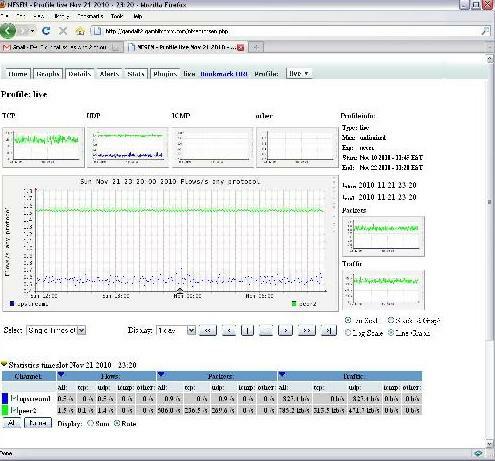 MIMIC SNMP Simulator solves a typical simulation issue; network management application generally manages larger networks. Conventionally, in order to establish such networks for the reason of software testing, training or development, physical gear had to be individually purchased and setup within laboratories. To decrease the expenditure, most of the network could be replicated using the simulator. MIMIC SNMP Simulator allows IT personnel to build practical, simulated networks of devices without buying any extra hardware, e.g. for testing purposes. MIMIC SNMP Simulator is a tool that can simulate numerous SNMPv1 or v2c agents on a single host on standard 161 port via multi-netting. Individual simulated agent reactions can be primarily retrieved from anywhere in the network and customized at runtime by users. 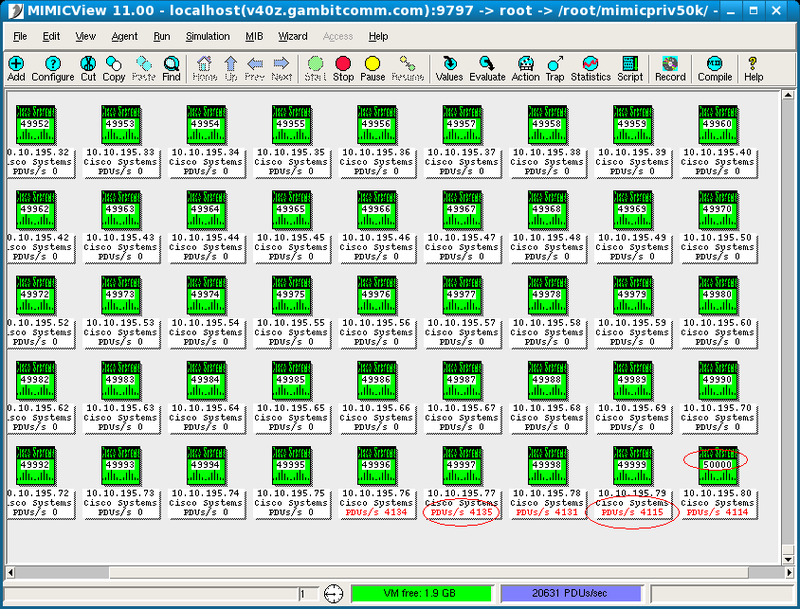 MIMIC SNMP Simulator creates a network of up to 100,000 SNMP-manageable devices. You can create any SNMP-based device with any number of public or private MIBs to run a large variety of device configurations with your SNMP management application. It lets you generate thousands of traps to simulate disaster scenarios. MIMIC Network Simulator – Simulate Up To 100,000 Devices In A Single Workstation! In the arena of network research, it’s extremely expensive to organize a comprehensive test bed including multiple networked routers, data links and computers to authenticate & verify a specific network algorithm. In these situations network simulators saves time and money in completing this job. Also, network simulators are mainly helpful in allowing network designers to try various network applications’ features or modify the configurations in a reproducible and controlled manner. Normally speaking, network simulators endeavor to replicate the real world network. The main proposal is that if a structure could be modeled, the aspects of the model could be transformed and the equivalent results could be evaluated. As the procedure of model adjustment is considerably affordable compared to the absolute real execution, a wide range of scenarios could be evaluated at low price. MIMIC IOS Simulator fully supports Cisco IOS® software and SNMPv1, v2, v2c, v3. You can simulate up to 100,000 devices in a single workstation, and an unlimited number of devices can be simulated by distributing it over multiple workstations. You can access devices using Telnet, SSH and SNMP. Changes made using one protocol is reflected in other. You can test applications using hundreds of simulated Cisco IOS commands. Along with that MIMIC CLI/IOS Recorder allows you to record any command and simulate it.